Here is a post from our treasurer, Mary Weick-Brady, ’82-‘84, what we hope will be a regular feature! We’ve all seen the herbs in the markets throughout the regions of Ecuador and, as a public health nurse working in the subtropic area of Bolivar province, I encountered many types of health care workers including herbalists or curanderos. I learned about numerous herbs and ways to use them during my life in Echeandia and I will share some of these through this website, along with some familiar recipes that contain the herbs. I also gathered ideas from a book called the “Herbs of Ecuador” as this became a fantastic reference for me when I worked with the herbalists in order to get a better understanding of why they did what they did with the herbs. 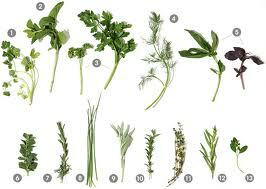 Collecting herbs: Herbs should be collected in clear, dry weather and preferably in the morning. Try to get plants that are still in bloom. If they are annuals, cut them all the way to the ground. If they are biennials or perennials, cut them halfway down. The herb for this month is parsley or perejil in Spanish. Parsley is a commonly used herb in Ecuador (and in the US). The plant, seeds, and the root are used for various medicinal and non-medicinal purposes. In cooking, it is used as a seasoning or garnish in cooking, most notably in sauces, soups, and cooked vegetables. Parsley is also used in Ecuador for medicinal purposes including as an antispasmodic, a diuretic, and an expectorant. Health care workers have been known to make tea from the seeds or the leaves to treat coughs, swelling, asthma, eye inflammations, and jaundice (yes, it is quite the herbal tea!). Pour ½ liter of boiling water over 15 grams of the parsley and let it steep for about 10 minutes. You can administer this up to 4 times a day. Others have been known to use the leaves as a poultice on contusions by “bruising” the leaves. Again, pour some boiling water over the parsley to wet it and apply the soaked herb to the affected area. Cover it with a warm cloth and replace the cloth as it cools. However you use it, parsley is easily cultivated and grown, and it usually can be used after it has been established for two years. Ponga la Costilla, 2 litros de agua fria, cebolla, perejil, y sal, a hervir hasta que este suave. Retire del fuego, cierna el caldo, pique la Costilla y ponga al caldo cernido. En la ½ taza de caldo caliente disuelva la manteca y la sal. Cierna en un tazon la harina de maiz, agregue el huevo y mezcle. Ponga poco a poco el caldo hasta formar una masa suave. Haga olita pequenas, rellene con queso. Dehelas reposar y a hechas por un rato. Agregue las bolas una por una (echelas en diferentes lugares) para que no se peguen. Deje hervir a fuego lento (sin mecer) por 10 minutos. Deje cocinar bien las bolas y las papas. Pruebe tomando una y comprobando su estado).